The officials visited police quarters in Shahpur and other localities where they also interacted with constables and their family members who complained about various problems they had been facing for years. 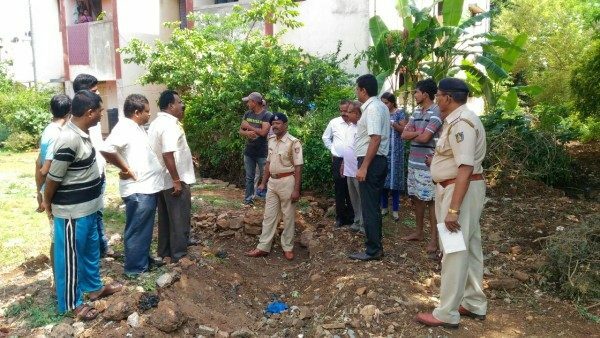 Regional Commissioner N. Jayaram, Police Commissioner Soumendu Mukherjee, Superintendent of Police Ravikanthe Gowda and other police officials inspected the living conditions in the police quarters in various localities in the city on Friday, in the wake of the constabulary demanding higher wages and proper facilities in police quarters. Some major problems they are facing include poorly maintained storm-water drains, lack of proper supply drinking water facility, bad roads and lanes passing through their localities, which were full of pot holes and in a neglected state, and lack of hygiene conditions.